As "globalization” moves rapidly from buzzword to cliché, evaluating the claims of neoliberal capitalism to empower and enrich remains urgently important. 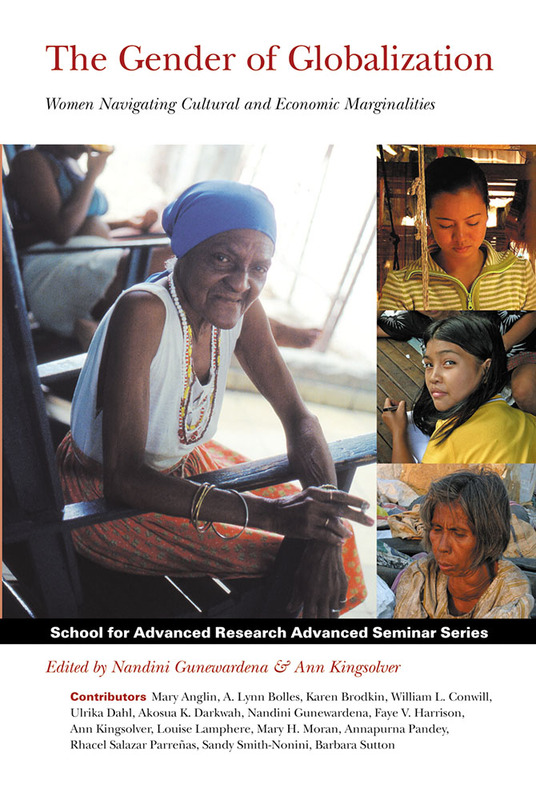 The authors in this volume employ feminist, ethnographic methods to examine what free trade and export processing zones, economic liberalization, and currency reform mean to women in Argentina, Sri Lanka, Mexico, Ghana, the United States, India, Jamaica, and many other places. Heralded as agents of prosperity and liberation, neoliberal economic policies have all too often refigured and redoubled the burdens of gender, race, caste, class, and regional subordination that women bear. Traders, garment factory operatives, hotel managers and maids, small farmers and agricultural laborers, garbage pickers, domestic caregivers, daughters, wives, and mothers—women around the world are struggling to challenge the tendency of globalization talk to veil their marginalization.